Anyone who is interested in psychic phenomena has to be aware of the possibility of frauds. And while psychic readings used to be largely confined to musty Gypsy Rose-style parlours at holiday resorts, modern technology has brought the practice to a broader audience. The Office of Fair Trading considers fake psychic readings to be one of the biggest scams in Britain, raking in about £140m per year for the scammers. Elderly people are particularly vulnerable. There are tragic stories of people being robbed of their life savings by psychic scam artists in the twilight of their lives. Women are also victimised disproportionately. According to the OFT, 70% of all psychic scam victims are women. It may be, of course, that women are simply more likely to use the services of a psychic. Figures show that 1 in 2 women will consult a psychic at some time in their lives. How do Fake Psychics Operate? In personal readings, a fake psychic has no real psychic knowledge of you, obviously, so will rely on you to supply cues about your life, your loves ones and your expectations. An experienced fraudster will often be extremely adept at picking up on the tiniest things, and will be artful at making small talk to draw information out of you. Your reactions, too, are extremely telling. A fraudulent psychic will watch your reactions like an experienced poker player, knowing when its time to pile on or ease off on one particular line of attack. One extremely common tactic in the worst fraudsters is to instil fear into you. They may tell you that someone has put a curse on you, or there is a looming catastrophe in your future. Of course, these terrible things can be taken away, but only if you pay a hefty sum to the pseudo-psychic to cast a spell of protection on you, or the like. Not all fake psychics meet you in person. On pseudo-psychic telephone hotlines, actors are sometimes recruited to pose as psychics, and may use computer software to “tell your fortune”. Some fake psychics even send out letters by mass-mailing, although these invariably attempt to give the impression that they are personalised communications. Of course, in the Internet era, online psychic readings are also performed. These may be wholly or partly automated, depending on the context. If you are thinking about having a psychic reading done, you should do it with realistic expectations first of all. The paranormal is not precisely predictable. Nothing is guaranteed. Even a person with real psychic powers might fail to connect with a particular subject. Expecting the kind of warranty you might get when buying a television is not serious behaviour. 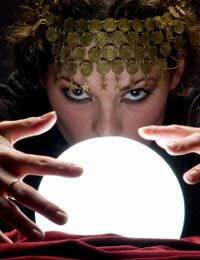 Until recently, in extreme cases, con artists posing as psychics or mediums could be prosecuted under the Fraudulent Mediums Act 1951. Prosecutions were rare, though, because successful conviction demanded that an “intent to deceive” be demonstrated. In 2008, the Fraudulent Mediums Act was abolished, and the problem of fake psychics is dealt with now as a fair trading issue rather than a criminal matter. Even in the realm of the paranormal, you still have consumer rights. If you believe a “psychic” is operating fraudulently, and money is involved, you can report them to the Trading Standards organisation. They may be able to take action. If the psychic advertises, and you believe the claims in the advertisement are false or misleading, you can also report them to the Advertising Standards Authority (ASA). One unfortunate “psychic” called Zara found herself hauled in front of the ASA which rejected her claims that she was the “UK’s premier psychic”, that her spells could lead to success in “ Love Money Health Career & Family” and that “for every problem there is a solution”. She was ordered not to make such claims again. Thanks to an EU directive, all psychics operating in Britain are required to post a disclaimer on their business premises, stating that the service is supplied for entertainment purposes only. You should note, though, that many of the worst psychic scams operate from outside the EU. For example, many of the fake psychic letters originate from Switzerland. If you approach a psychic, it is usually in search of peace of mind in response to some issue which is troubling you, whether that be the loss of a loved one or concerns about the way your life is heading. There are people out there who can give you the experience you’re looking for. You just need to be wary, and learn to avoid the sharks. What is Hot and Cold Reading? I would like to know how people can still get away from duping the public even although there Is a regulation against this. Whether you are a believer or not people choose to go or meet with psychic spiritualists for the entertainment value or because they are vulnerable due to life circumstances. There is a man called Gordon Hill from Irvine who claims to be Acclaimed Accredited Spiritualist Medium. He is definitely a con artist. How can a member of the public stop this man and his wife who accompanies him at all times report him before he does real emotional damage to someone. His mobile number is 07955320781. No details of his home address either. Absolutely shocking.